Italy has it all. From beautiful art to delicious food, stunning and varied countryside to flamboyant fashion, it is hardly surprising that the love of la dolce vita is not waning with the Italian tourism market booming, welcoming more than 43.2 million visitors a year. So, if you are looking to buy second property you will be pleased to know that there are large profits to made and plentiful investment opportunities to be had. Italy’s focus on attracting tourists from emerging markets in 2010 saw visitor numbers increase by 2.2% compared to the rest of Europe’s overall 2.5% increase according to The Travel Industry Global Overview by Euromonitor International resulting in Italy outperforming the rest of the wider travel and tourism Eurozone industry. With Italian tourism finding its feet again combined with stabilising property prices and a 1.3% GDP growth in 2010, not to mention the abolition of inheritance tax, membership of the EU and bank guarantee on property purchases, potential property buyers along with holiday home investors who predominantly drive the market, will now be on the lookout for their perfect Italian property to reap the rewards. A particularly popular tourist destination, Calabria located on the tip of the southern Italian peninsula, with its fine cuisine, spectacular natural scenery and friendly local hospitality has emerged as the destination of choice for many people and along with Ryanair and Monarch Airlines providing flights from London to Lamezia Terme International, Calabria offers great potential to anyone looking to invest in a property abroad. For potential buyers looking for their perfect Italian property, Experience International has two amazing developments based in the stunning Calabria province. 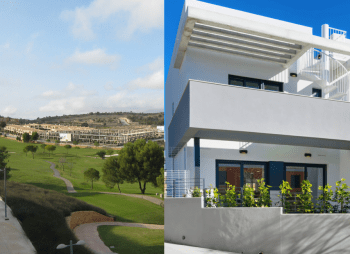 Le Palme, located in Santa Domenica is a high specification development starting at €200,000 and has 4 two bedroom apartments of which only two remain available. Situated near a stretch of beautiful coastline on the Tyrrhenian Sea this area is hugely admired by those in the know as one of Italy´s finest holiday destinations. Surrounded by a number of restaurants, it is a 2 minute walk from Capo Vaticano and a 5 minute walk to the dazzling sandy beach. Nestled in the heart of Calabria’s agricultural landscape, the stunning Giardino Mediterraneo development is situated amongst strawberry fields and olive groves and has 3 two bed two bath villettas available along a gorgeous coast line starting at €229,000. Located 15 minutes from the airport by car, 10 minutes to Pizzo and only a 3 minute walk to the beach, Giardino Mediteranio is perfect for a relaxing holiday or as an attractive investment property. For more information on these opportunities please contact Experience International on +44 (0) 207 321 5858 or visit www.experience-international.com. Where many might shy away, the most savvy property investors are looking towards Egypt in light of the recent crisis to purchase Sharm el Sheikh property. The record drop in value in the Egyptian Pound means that it has never been a better time to buy in successful tourist resorts either for a holiday home or buy to let investment. Understandably, a novice property buyer might be wary of investing in a region that has experienced some political turmoil over the last few months, however experienced property investors in Sharm el Sheik property will know that construction has been unaffected as the protests were localised and so the resorts did not experience any of the looting or damage as in Cairo. With 1 British Pound buying 9.74236 Egyptian Pounds as of 23rd March 2011, property investors can purchase a total of 224,074 Egyptian Pounds for £23,000. If we compare what the same amount would have bought at the beginning of 2011 when the rate was 1 GBP=8.96538 EGP, we notice a dramatic advantage to the overseas property investor as £23,000 would have purchased only 206,203 EGP. This means that investors who purchased in March rather than January 2011 have made an extra of 17,871 Egyptian Pounds! Property agents have observed steady sales throughout February and an upward trend in March. Egyptian property prices have certainly not dropped and some developments are set to increase their prices as they finish the first phase of construction. One of the most popular resorts is the Maraqia development in Sharm El Sheikh. Investors can purchase 1, 2 and 3 bedroom apartments spread over 40,000 m² with surrounding gardens and swimming pools. Set next to the mountains of Nabq and minutes away from 5* Hotels and facilities, this project is destined to be one of the most luxurious high class residential areas in the Sharm el Sheikh property range and prices start from only £39,170. Another development that has attracted both international investors and those looking for a second holiday home is the Sunny Lakes development in Naama Bay in Sharm. The low density apartments offer spacious 1 bed apartments from 70 m2 and 2 bed apartments from 95m² all with swimming pool views. The option of management and rental services are also available making Sunny Lakes the ideal property purchase both for personal use and as a buy-to-let investment. For more information on investing in Sharm el Sheik property in 2011 please contact the experts at Experience International on +44 (0) 207 321 5858 or visit www.experience-international.com. Investors looking to purchase overseas should hop across the Channel to France where near double-digit price increases have been recorded say the experts at Experience International. According to the latest Knight Frank Global House Price Index, France saw a 9.5% annual increase in prices in Q4 2010 compared to the same period 12 months ago. And it would seem that this message is hitting home with the FNAIM (Federation National de l’immobilier, the French estate agents’ body), reporting a 15% rise in the number of property purchases in 2010, some 700,000, compared to 2009. Indeed purchasing activity for 2011 is also looking strong with research from Rightmove Overseas and Moneycorp showing a 53% increase in buying property abroad in February 2011 compared to the precious month with France the second most searched for country. One of the key appeals of investing in France is the leaseback program which has for over 40 years offered the best of both worlds with guaranteed rental returns for 18 years plus as well as personal usage options. Returns may not be as high as some emerging markets but they are reliable, giving investors that all important peace of mind. Les Terrasses D’Helios is one example of a superb leaseback development located in the popular ski resort of Flaine which offers 1, 2 and 3 bedroom apartments with stunning views of the Grand Massif ski domain. Investors can enjoy up to 3.50% guaranteed rental income for 18 years or more in addition to expected capital growth of 7% and personal usage options. As with most leasebacks, VAT is paid saving a further 19.6% and up to 100% finance is available making the €237,000 apartments highly affordable. For more information on investing in France or Les Terrasses D’Helios contact the experts at Experience International on +44 (0) 207 321 5858 or visit www.experience-international.com. For those considering making an investment in the lucrative hotel market then the latest data from the trivago Hotel Price Index suggests that London remains one of Europe’s best bets as hotel rates in the Capital rose by 10% in the last month alone. Compared to February 2011, average hotel prices in London have risen by an impressive 10% in March to £150 per night eclipsing other popular European cities such as Amsterdam (£117), Berlin (£87), Paris (£131) and Rome (£109). Double-digit growth was not uniform across the UK however with overnight room rates falling 1% in Liverpool and Newcastle and 6% in Birmingham and Edinburgh. When compared to global hotel markets London also compares favourably with the Hotel Price Barometer by hotel.info ranking the Capital the 8th most expensive city in the world in terms of average room rates with an increase of 7.04% in Feb 2011 compared to the same period in 2010. Furthermore the latest hotel forecast for 2011 from PwC reveals that there will be a further gain of 6.1% in average room rates and occupancies should climb to around 84%, a 2.2% increase over 2010, taking occupancy rates to levels last seen in the booming mid 1990s. With the Capital expecting a boom in visitors for the impending Royal Wedding and some 500,000 forecast to attend the 2012 Olympic Games, the London hotel market presents a highly attractive investment opportunity. One new hotel currently under development in north London, Park Inn Wembley, is receiving particular interest from investors both in the UK and abroad, especially the Far East. Located in one of London’s fastest growing sporting & leisure destinations, Park Inn Wembley offers 4* hotel rooms at 28% below official RICS commercial valuation and delivers double digit net returns of up to 11.5% per annum. Fully managed and operated by the major global hotel brand Park Inn, which is currently undertaking a significant marketing campaign in the UK, this hands-off investment is available with a deposit of £55,000 with non-status finance and VAT paid saving you £28,000. For more information on securing a hotel room at Park Inn Wembley please call the experts at Experience International today on + 44 (0) 207 321 5858 or visit www.experience-international.com. Perfectly timed for an early Easter getaway, Cityjet, a subsidiary of Air France, are launching new flights from London City Airport to Pau in south-west France thrice weekly as of 2nd April offering residents an escape from the hustle and bustle of city life as well as royal wedding mayhem! The city of Pau is only 1 hour and 20 minutes drive from the surf capital of France, Biarritz allowing Blighty residents to switch one capital for another with terrific ease. The flight will only take 1 hour and 40 minutes so you can be dipping your toes (and your board!) in the Bay of Biscay by lunchtime after leaving home at breakfast. The news is welcomed by the numerous second home owners in the region too. Pau offers excellent access to both the nearby Pyrenees ski resorts, Lourdes, as well as the beach destinations such as Biarritz. “Whilst the new flights will connect city to city business travellers, Cityjet’s route from London City to Pau will further open up this region to holiday makers and home owners from the south-east of England. There is a great demand for homes in the south-west of France with its stunning and varied scenery; owners achieve the best of both worlds with close proximity to the mountains and established ski resorts in winter and the coast in summertime. 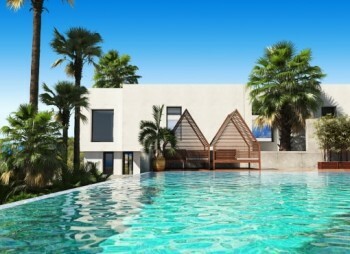 “A popular choice for owners is Les Patios Eugenie, a luxury development of 62 units, from studio to 3 bedroom duplex cabin apartments, just 400 metres from the beach with an outdoor heated pool, spa, sauna, massage cabins and whirlpool. It oozes charm and appeal with its contemporary yet traditional architecture. For more information contact Experience International on 0207 321 5858 or visit www.experience-international.com. A fabulous opportunity to own a Biarritz property in an ideal location just 400 metres away from the beach and close to all amenities. This development offers character architecture with the subtle alliance of contemporary and ancient design. Les Patios Eugenie consists of 62 luxurious units, from studios to 3 bedroom duplex cabin apartments, all luxury residences with refined decoration and charming patio and garden areas. Being both natural and sophisticated at the same time, Biarritz is one of the most prestigious seaside resorts of the French Atlantic coast. Between the mountains and the ocean waves, it offers exceptional natural surroundings with many attractions: palaces, luxurious hotels, the Casino, rich gastronomy… Excellent facilities include Outdoor heated swimming pool, sauna, whirlpool and spa. Prices start from €245,684. For more information contact Experience International on 0207 321 5858 or visit www.experience-intrnational.com. Global hotel brand Park Inn has been selected as the operator for the new 4* hotel located in Wembley, one of London’s fastest growing leisure and sporting destinations. Voted the World’s Leading Destination attracting nearly 25 million visitors last year, London presents one of the most robust and lucrative hotel markets today. Outperforming most other European cities including Paris, Madrid, Rome, Berlin and Amsterdam, the Capital’s hotel market is going from “strength to strength” according to TRI Hospitality Consulting with double-digit revenue per available room (revPAR) growth in 2010 according to latest figures from Deloitte. 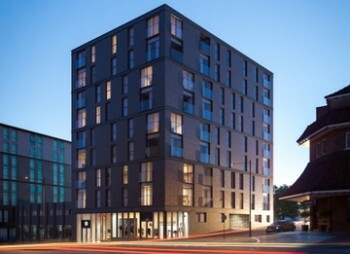 With 24 hotels already across the UK and 3 in London, Park Inn has identified the significant demand for quality accommodation in London and is therefore partnering on this high yielding new hotel investment opportunity – Park Inn Wembley. Wembley has undergone significant redevelopment in recent years, not least fuelled by the construction of the new Wembley National Stadium, and has been singled out by The London Tourist Board and London First as one of the three most promising locations for hotel development in the Capital. Over 1.75 million people visit the iconic Wembley Stadium alone each year attending prestigious events including the FA Cup Final, Carling Cup Final, rugby and American Football matches, motor-racing, high profile music concerts and cultural events. Visitor numbers are set to rise further in the next two years as the biggest music concert in Wembley’s history, Take That Live, will take place this summer with over 1 million tickets sold as well as the UEFA Champions League Final, Euro 2012 qualifiers and the badminton & gymnastics events of the London 2012 Olympic Games. 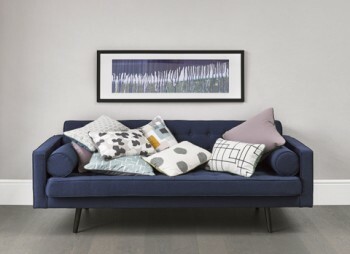 Meeting this demand, the same developer as the highly successful Holiday Inn West India Dock Road in Canary Wharf has selected Park Inn as the operator offering a truly ‘hands off’ investment delivering double-digit net returns. Just released to the market, hotel rooms in the Park Inn Wembley, located on Olympic Way and just 2 minutes from Wembley Park station, are available 28% below RICS commercial valuation from just £140,000. Investors can expect at least 10.2% net yields in year 1 rising to 11.5% by year 5 and non-status finance is available as well as VAT paid giving a saving of £28,000. For more information about investing in the new Park Inn Wembley contact the experts at Experience International on +44 (0) 207 321 5858 or visit www.experience-international.com. Egypt, the land of sun, sea and sand, is one of the most popular property markets in the world today. If you are thinking about buying property in Egypt’s popular tourist hotspot, the Red Sea coast, then the new Experience Egypt magazine is your essential guide. The complimentary 70 page property and lifestyle magazine published by the Egyptian property experts at Experience International is packed with the latest market news, expert advice, location focuses, buying guides and a selection of the finest properties available for sale along the Red Sea coast. “We have seen the Red Sea resorts in particular enjoying accelerated property market growth due to their popularity as holiday hotspots. Millions of Britons as well as Russians, Germans, Scandinavians, Middle Eastern and Asian nationals visit each year to soak up the sun, sea, sand and world-class diving on hand. To download your complimentary Experience Egypt 2011 magazine visit http://www.experience-investments.co.uk/Egypt-Magazine.html or call +44 (0) 207 321 5858. The land of wine, the City of Bronze; the Coast of the Gods; Calabria has been known by many names throughout the centuries, it is now is had firmly established itself as a property investment hot-spot. One of Italy’s best kept secrets, Calabria has emerged as the destination of choice for many people looking to invest in a property abroad with great potential. Located on the tip of the southern Italian peninsula, the province has much to offer in the way of fine cuisine, stunning natural scenery and friendly local hospitality. Not only do the cities have a rich heritage which includes both Greek and Roman influences, the region also boasts some of Italy’s most noted vineyards. An all-year round tourist resort, Calabria offers a warm Mediterranean climate that caters to both sun-aficionados and winter sports enthusiasts. The EU has committed funds to improve the areas infrastructure and transport networks as part of the 2007-13 EU cohesion plan. Italy’s abolition of inheritance tax, its full membership of the EU and bank guarantee on property, meaning that should a developer default on the build the client’s funds will be protected, all make the nation a favourable investment environment. In addition, there is no capital gains tax on a property that is resold after 5 years. Those who already own property in Calabria will be pleased to hear that low-cost airline Ryanair will be re-introducing the very much in demand route from London to Lemezia Terme International in April this year. Monarch airlines will also be commencing routes this summer, reflecting the popularity of Calabria as both a tourist and second-home destination. One development in particular in Calabria which has been attracting a lot of attention is the Zambrone Beach resort which offers luxury apartments with amazing sea views from only 229,000 Euros. There is direct access to a private beach, a roof top Jacuzzi and BBQ area. 60% finance is available and properties can be reserved with a mere 3000 Euros. For investors who are looking for their perfect Italian villa, the Baia Verde resort is an excellent option. A detached 3 bedroom fully furnished villa can be purchased from 325,000 Euros. This low-density development offers investors their own pocket of Italian rural charm yet is located only 10 minutes away from the nearest beach. Experience International, the Italian property experts, is offering prospective buyers the chance to inspect a range of apartments and villas in Calabria with their tailored discovery tours for only £99 per person including accommodation and flights. If you are interested in taking advantage of this unique opportunity please contact the experts at Experience International on +44 (0) 207 321 5858 for an overview and further information, or visit www.experience-international.com. Turn the Downturn around by investing in Detroit! The financial downturn in the US has presented a unique opportunity for people to buy repossessed homes at prices 65% below their peak values in 2006. Properties across the US are being snapped up by savvy investors looking for a bargain. In particular, the buzzword ‘foreclosure’ in the American real estate market is generating substantial interest from international property investors who are looking for a hassle-free investment with guaranteed returns. Foreclosures are properties that have been repossessed by banks who are usually unwilling to take on the responsibility of managing the properties and paying their relevant taxes. In Q3 of 2010, foreclosures accounted for a quarter of US residential sales (Realty Trac). This has created a new market whereby specialist agents take on these properties and commit to refurbishing them to levels above national housing averages. They then sell them on to landlords who agree to rent them out to suitable tenants. One city in the US has drawn the most interest due to its location, sophisticated network of businesses and residential homes and strategic transport and motorway links; Detroit has been a focal point for investors both within the US and internationally. Formerly known for its legendary Mowtown music and car industry, Detroit is now famous for its cut-price homes. The area has benefited from a huge demand for affordable housing available for rent with unemployment decreasing due to the renaissance in manufacturing in Detroit. The major appeal to investing in Detroit is the US government backed rental scheme which helps to place tenants eligible for subsidised housing. If a qualifying family earn between $22-35,000 the government will pay for at least 80% of their rent direct to the landlord under ‘Section 8’ of the subsidy program. Investors can reserve a property in Detroit, Michigan from only £27,273 cash plus £1,500 buying costs. This is a hands free investment as all the properties are managed by experienced local managing agents. The properties are provided fully refurbished and typical net rental yields range from 14-16%. With the schedule of events announced for the 2012 Games, Olympic fever is hotting up in the host city of London. But it’s not only the competing athletes going for gold; the race is on to invest in London’s booming hotel market. As TRI Hospitality Consulting reported, London’s hotel market is going from “strength to strength”, currently outperforming most other European cities including failed 2012 Olympic Games bid city Paris, Madrid, Rome, Berlin and Amsterdam. In line with wider economic recovery, the UK is now entering a new hotel cycle with demand for upscale hotels increasing and room rates rising. According to the world class corporate travel services company, Hogg Robinson Group, London room rates increased by 3% in 2010 and Deloitte predicts a 2.2% increase in revPAR (revenue per available room) in 2011. With over 500,000 visitors expected at the 2012 Games demand for hotel accommodation in the Capital will be massive. Current stocks are unable to meet this demand and therefore leading global hotel brands such as Intercontinental Hotels Group (IHG) which owns 5% of the world’s hotel rooms, are actively expanding their London portfolios. Capitalising on the demand for luxury accommodation in London (PwC predicts a 27% increase in luxury hotel rooms between now and the Olympic Games), work has already commenced on IHG’s flagship Docklands hotel – the 4* Holiday Inn West India Dock Road. As an official Olympic partner, Holiday Inn West India Dock Road will be a feeder hotel for the much anticipated games affording a prime strategic location adjacent to Westferry DLR station and only 15 minutes to the Olympic Park at Stratford. Hotel rooms in phase 1 sold within weeks of launch to buyers from all over the world including the Far East, and now in response to demand a limited number of hotel suites have now been released including some on the sought-after upper floors. The 4* luxury rooms will include high specification en-suite bathrooms, bespoke Holiday Inn bed and bed linen, built in MP3 docking point, LCD TV, WiFi and flexible zoned areas to work and relax in. Fully managed and operated by Holiday Inn, executive rooms are available at 19% below official RICS valuation at £189,000 however with non-status finance available a deposit (secured by insurance bond) of just £65,000 is required. For more information about investing in London’s booming hotel market or indeed the limited number of new luxury hotel suites at Holiday Inn West India Dock Road contact the experts at Experience International on +44 (0) 207 321 5858 or visit www.experience-international.com.